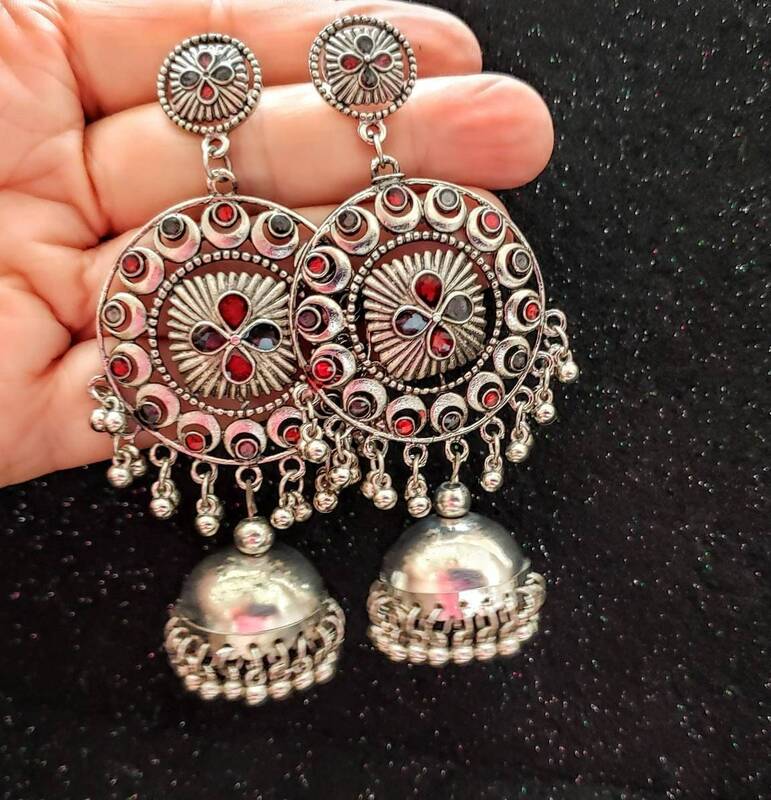 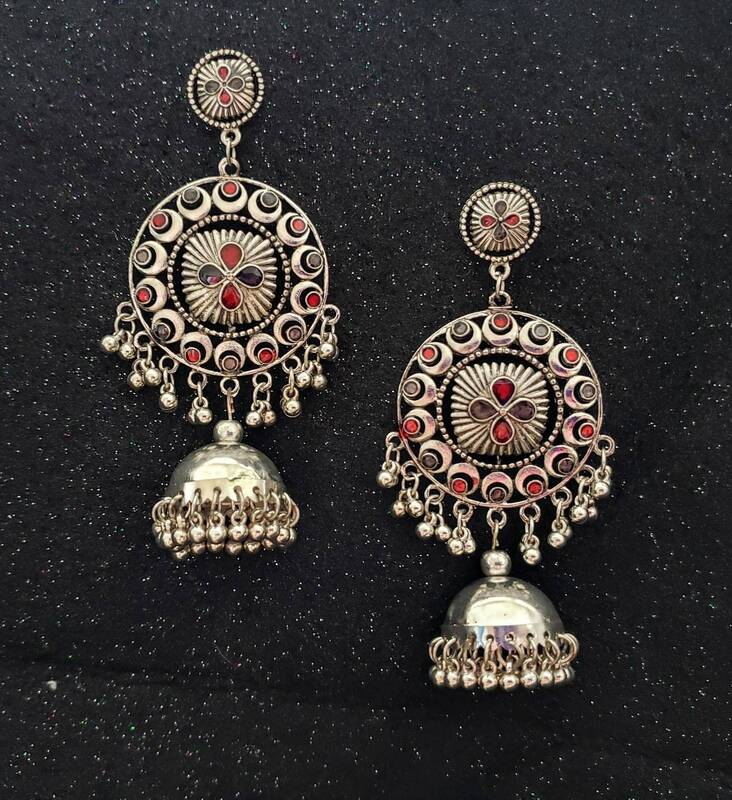 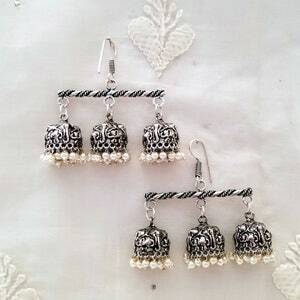 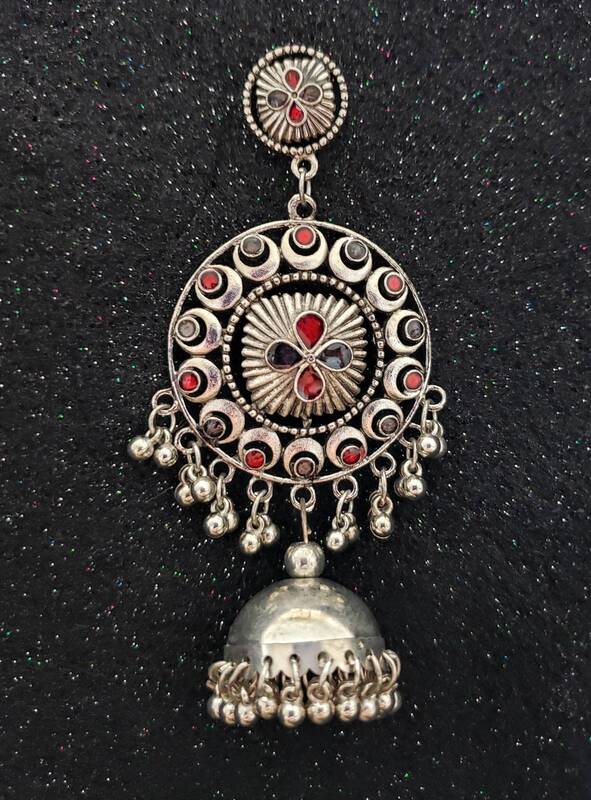 Look your best and show your style wearing these Indian jhumka earrings in oxidized silver with red and gray accents. 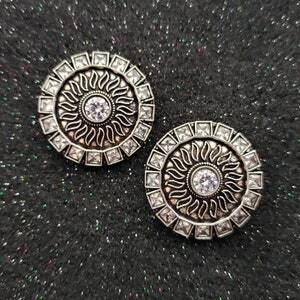 Excellent quality and craftsmanship. 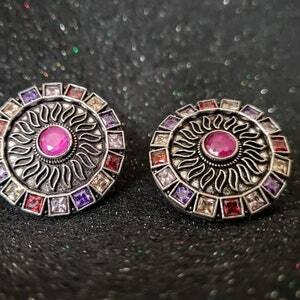 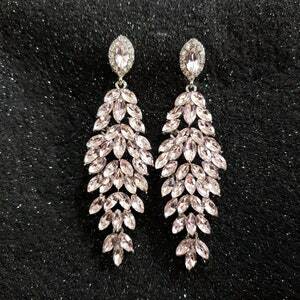 Very attractive earrings!